Kenzo was founded in Paris in 1970 by Takada Kenzo. Kenzo, a native of Himeiji, Japan, attended Tokyo’s prestigious Bunka Fashion College as one of its first male students before making the move from Tokyo to Paris, where he opened his first boutique. He surprised the fashion world with his originality and the apparent celebration of diverse cultures, nature and colours in his designs. Kenzo have been famous for their understated, simple and minimalist clothes. This signature has transferred into their simple, clean and distinctive fragrances for men and women. Furthermore, each Kenzo fragrance offers a truly different, modern approach and is either unique in construction or uses notes or scent flavours that have not been combined before. 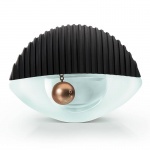 KENZO's artistic directors Carol Lim and Humberto Leon breathe their vision of fashion into their first fragrance. A world in their image: bold, spontaneous, surprising, fun, colorful… A world that celebrates freedom of expression, diversity and creativity. A playful and dynamic fragrance...true to the KENZO spirit. Kenzo Flower is driven by a bouquet of Roses and Violets, powdered with Vanilla and White Musks, a singular eau de parfum that has become a classic. Kenzo Flower perfume contains hints of poppy, rose, violet, vanilla and hawthorn this fragrance is a modern, urban twist on the scents of a classic English country garden. Sensual, sweet and happy... KENZO AMOUR eau de parfum is inspired by sensations of a journey of love. An addictive, colourful fragrance that celebrates the beauty and freedom of women, and their unquenchable spirit when it they experience the madness of love. 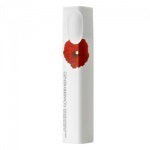 Kenzo Flower Eau De Vie takes inspiration from the poppy, a simple and beautiful, fragile and strong red flower that is unpredictable in the way it grows but always gorgeous! Kenzo World is a new sparkling Eau de Toilette for a woman who does not take herself seriously. Kenzo World EDT blends genres, fusing its floral bouquet with fruity notes, in a definitely feminine but not sweet bouquet. Driven by a bouquet of Roses and Violets, powdered with Vanilla and White Musks, a singular eau de parfum that has become a classic. 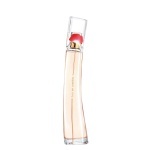 Kenzo Amour eau de parfum is inspired by sensations of a journey of love. A colourful bottle with pure curves invites caresses and holds an enveloping musky woody floral eau de parfum. 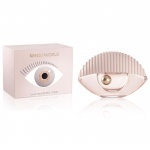 Kenzo World is a dance of aromas, combining sparkling pear, luminous peony and almond blossom, and feminine orris. 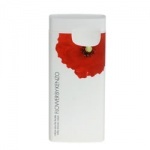 It is delicate, fresh and very sensual, a fruity floral explosion for a woman who dares to be herself. 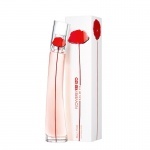 Kenzo Flower L'Elixir EDP is a fruity floral gourmand version of the original and beautiful Kenzo Flower perfume. KENZO's artistic directors Carol Lim and Humberto Leon breathe their vision of fashion into their first fragrance. A playful and dynamic fragrance...true to the KENZO spirit.